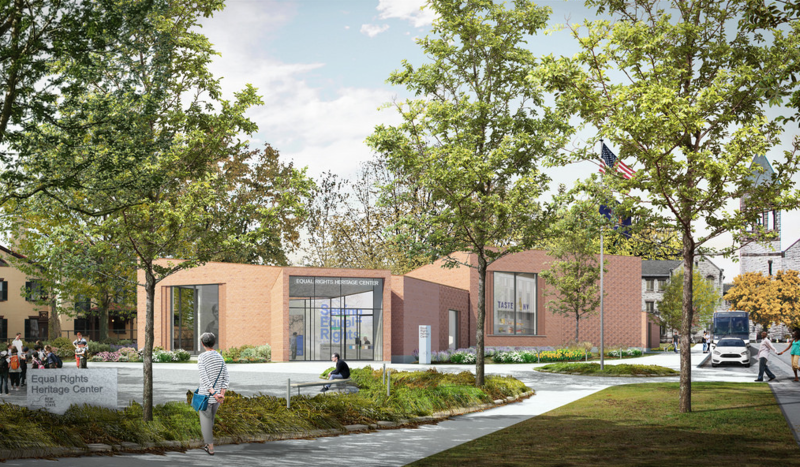 The Institute for Public Architecture (IPA)'s fifth annual Fall Fête is coming up! 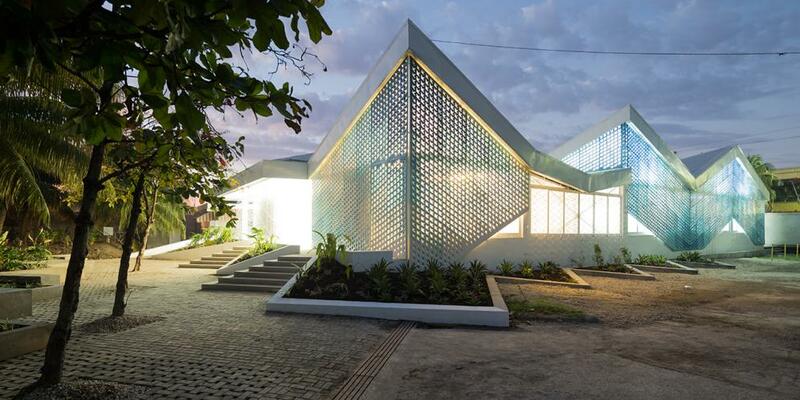 The nonprofit's mission is to spur socially-engaged architecture by giving the public opportunities to shape the built environment. 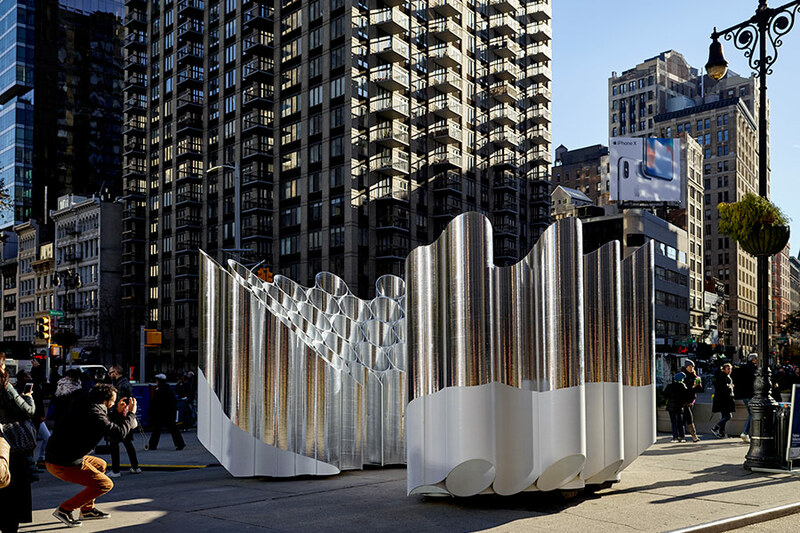 Based in New York City, the group hosts talks and symposia; hosts urban research projects; and sponsors a bi-annual residency program for designers. This year, the IPA will honor three guests: Architectural League Executive Director Rosalie Genevro, MASS Design Group Co-founder and Executive Director Michael Murphy, and former NYC Department of Transportation Commissioner Janette Sadik-Khan, now a principal at Bloomberg Associates. Tickets for the October 11 event are on sale now, and proceeds will go towards three main efforts. The IPA will expand its Fellows Residency Program, a group of architects that gets financial support from the IPA to do work and research in the public realm. In March 2017, IPA launched “Open City,” a discussion series that brought Paris's deputy mayor to New York to debate housing solutions for the most vulnerable urban residents. Building on the first event, IPA hopes to launch partnerships with architecture schools in the U.S. and abroad. The organization also plans to build its leadership capacity. This year, the party is at the Prince George Ballroom in Manhattan. A benefactor's reception will run from 6:30–8:30 p.m. and the after-party starts at 8:30 p.m. Tickets and more information can be found here. The Architect's Newspaper is a media partner for the 2017 Fall Fête. Today, pocket parklets popped up across the country for Rebar Group's 2017 PARK(ing) Day – now a beloved tradition among public space enthusiasts and designers. According to the PARK(ing) Day Manual, the celebration treats metered parking spots as a "short-term lease for a plot of precious urban real estate." 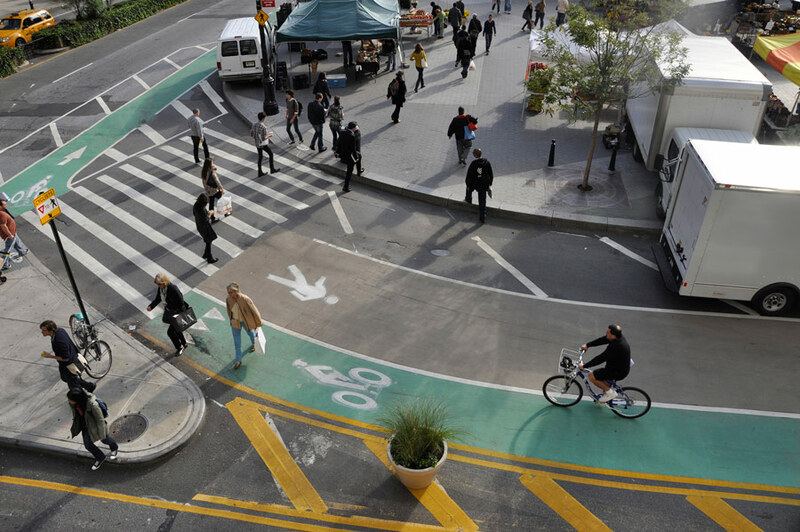 In place of parked cars, a range of creative interventions abound. This year, the American Society of Landscape Architects asked landscape architects all over the country to invest their quarters on temporary, miniature green spaces. Here are some of our favorites from the #ASLAPD17 hashtag on social media. 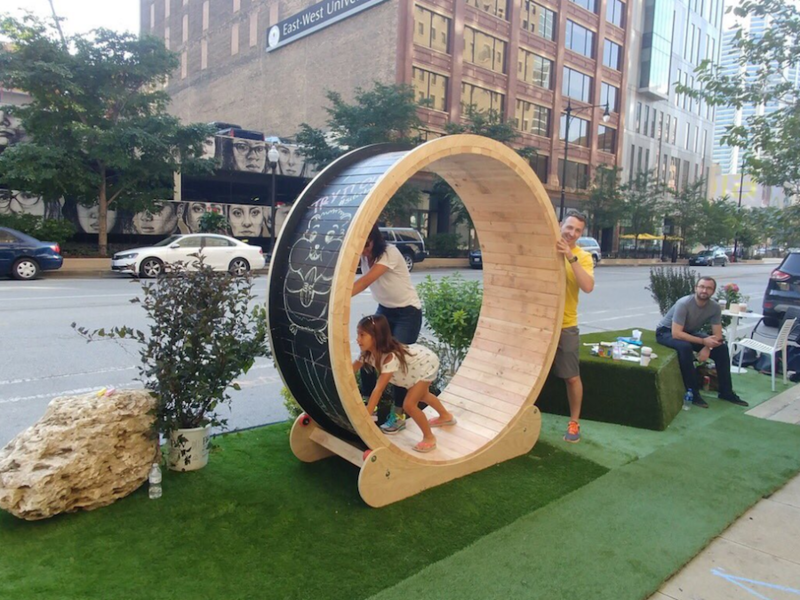 Site Design Group in Chicago built a human-powered hamster wheel, albeit with one glaring design flaw: the absence of an attached grass smoothie machine. In Baltimore, Hord Coplan Macht constructed a peaceful little greenspace with terraced timber seating. D.C.'s Landscape Architecture Bureau (LAB) built a small field of artificial tulips from plastic taken from the Anacostia Watershed. L.A.'s AHBE LAB privileged the deep thatch in a rewilding of a parking space recalling Agnes Denes' 1982 Wheatfield in Battery Park Landfill. 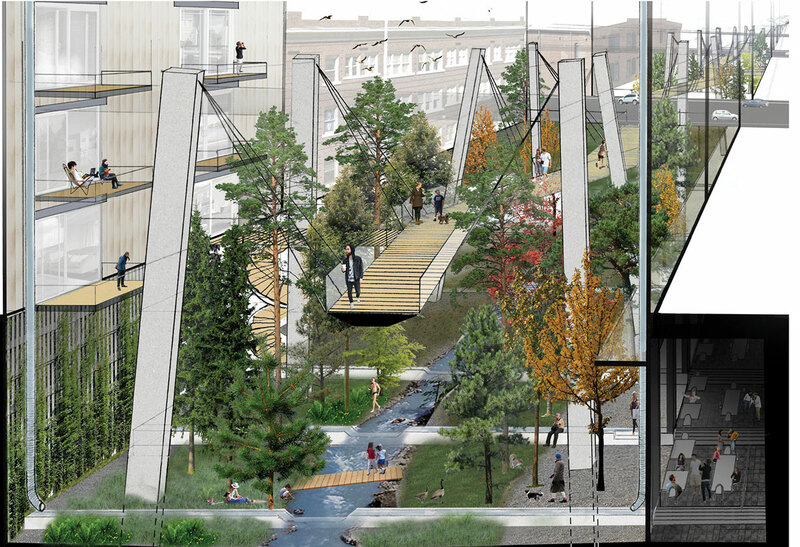 https://twitter.com/ahbeland/status/908757935999803392 From Instagram, Seattle's Weisman Design Group created seesaws and tetherballs amid tall grasses that we really wish were permanent. https://www.instagram.com/p/BZEdSumFbSg/?taken-by=weismandesigngroup The ASLA's branch at Arizona State University in Tempe, Arizona constructed a lovely raised topographic seating area. https://www.instagram.com/p/BZEw2TXlNUZ/?taken-by=asu_asla Finally, in Austin, Texas, Daniel Woodroofe Group put up a hedge public hammocks. https://www.instagram.com/p/BZEqDLjnJ6q/?taken-by=studiodwg Other parklets are permanent. As The New York Times reported in late August, 18 curbside pop-up spaces have appeared across New York City alone (double last year's count), and they're here to stay. Most of these spaces have been created through a partnership between the city's Transportation Department and local groups, including the Parsons School of Design, which created a flexible space called Street Seats with planters constructed of bamboo and movable seating. PARK(ing) Day has catalyzed similar programs nationwide. Regardless of its permanence, parklets remain a charming, temporary form of urban acupuncture expanding public and green space. About 80 percent of New York City’s street curbs are not in line with federal standards for the disabled, as first reported by DNAinfo. A recent study by a federal court monitor revealed that even after $243 million in taxpayer funds over the last 15 years were allocated to build curb cuts, the city failed to keep them up to the Americans With Disabilities (ADA) regulations. 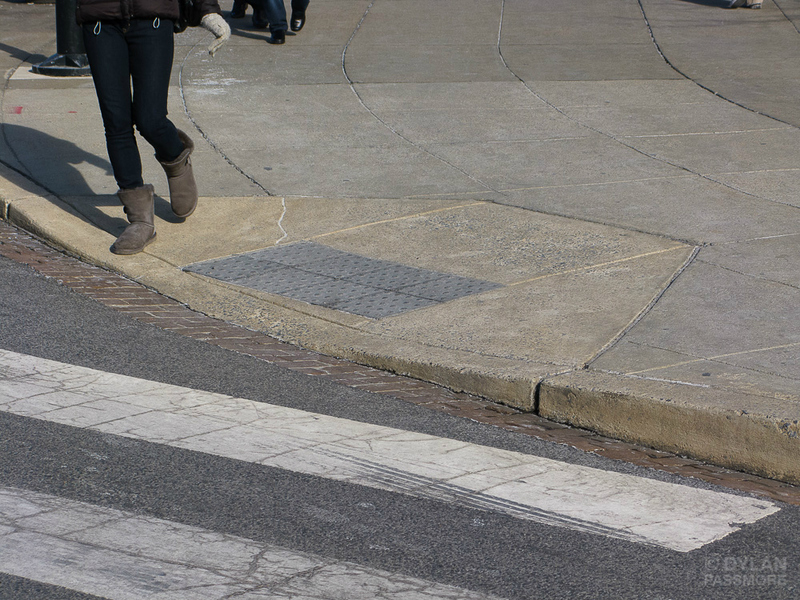 Curb cut, or curb ramp, is the term for a ramp created by grading down a sidewalk to meet the surface of the adjoining street. There are 116,530 ramps across the city; some were built to ADA standards but never maintained while around 4,431 curbs were simply built without ramps. Special Master Robert L. Burgdorf, who is also the original author of the ADA Act of 1990, blamed the city’s 2002 settlement with the Eastern Paralyzed Veterans Association. In a report he submitted to federal court, he noted that the settlement did not set up any timelines for building curb cuts, nor did it require ADA compliance for curb cuts. “It is quite plausible that the 2002 stipulation may actually have slowed down progress in achieving accessibility of the curb ramps of New York City,” he wrote in the report. According to Burgdorf, the city only built 198 ramps in 2016, down from 6,667 ramps in 2002. The Department of Transportation (DOT) responded by saying it increased the budget—$800 million over the next 10 years—for inspection and construction of these ramps. “As the nation’s largest municipal transportation agency, NYC DOT takes its responsibilities under the Americans with Disabilities Act (ADA) very seriously,” Scott Gastel, a DOT spokesperson, said to DNAinfo. Elon Musk tweeted earlier this morning that he received government approval to start building a New York-Philadelphia-Baltimore-D.C Hyperloop, as reported by engadget. His series of tweets indicate that while The Boring Company, the infrastructure and tunneling company that Musk founded, received “verbal” government approval, there are still steps to be made before getting formal approval. 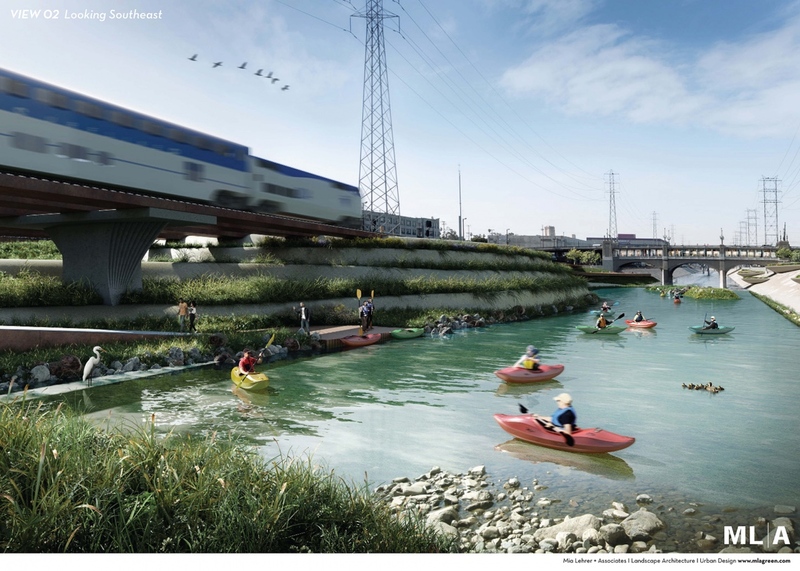 If the project is actually approved, construction will begin in conjunction with the company’s other talked-about project: underground tunnels in L.A. that aim to relieve vehicular congestion. Musk is already plotting future connections elsewhere, too. One of his follow-up tweets reveals that the next Hyperloop would likely be an L.A-San Francisco track, and maybe even a Texas loop (Dallas-Houston-San Antonio-Austin). A Hyperloop in the Northeast Corridor could do wonders for the deteriorating rail infrastructure at New York’s Pennsylvania Station, which has resulted in a “summer of hell.” Right now, a regular Amtrak train between New York and Washington D.C takes approximately three and a half hours; the same trip is two-and-a-half on the Acela Express. 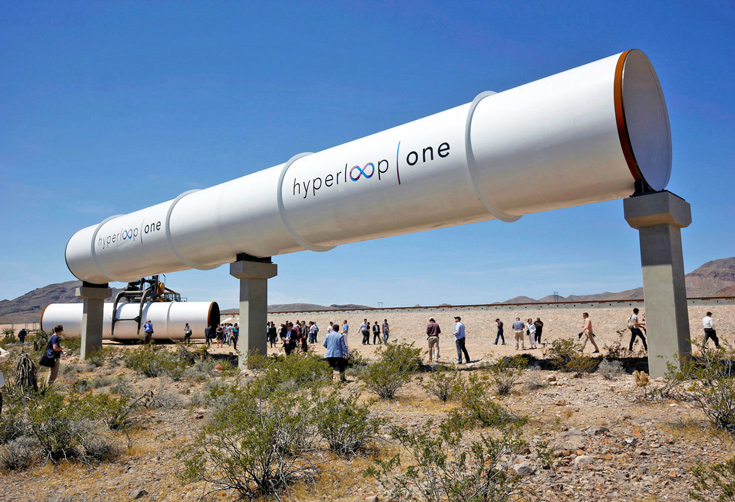 With a Hyperloop, however, it will only take 29 minutes. It’s unclear who Musk received this verbal approval from, though it is likely someone from the Trump administration (where he briefly served as one of President Trump’s advisors), according to CNBC. It will take numerous hurdles before Musk can even begin drilling a hole; he would need approval from the federal Department of Transportation, not to mention the various states, counties, cities, and elected officials. Missed some of our articles, Tweets, and Facebook posts from the last few days? Don't sweat it—we've gathered the week's must-read stories right here. Enjoy! 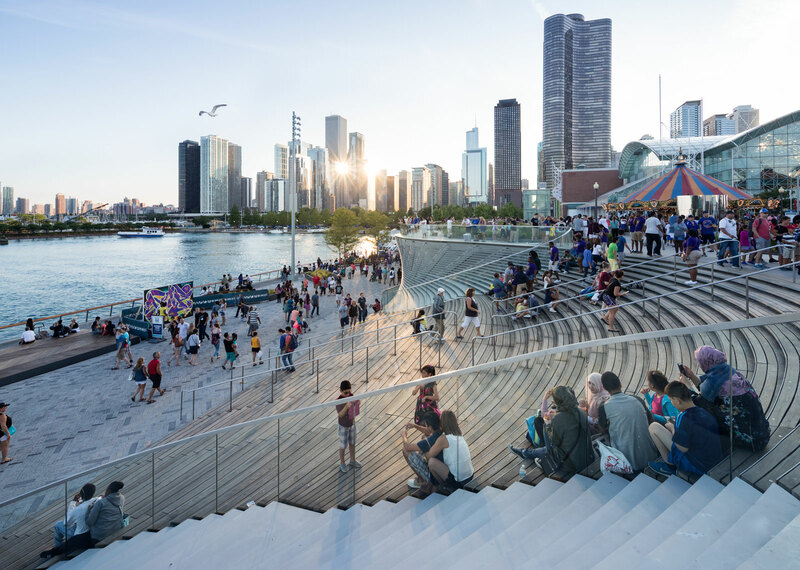 Six of America’s newest and grandest public spaces From a highly anticipated river revitalization project in Chicago to a completely repurposed mall site in a tiny Connecticut town, projects revolving around public spaces are always feel-good stories. Who doesn’t enjoy a new, clean space to people-watch? Or better yet, catch some July 4 fireworks? 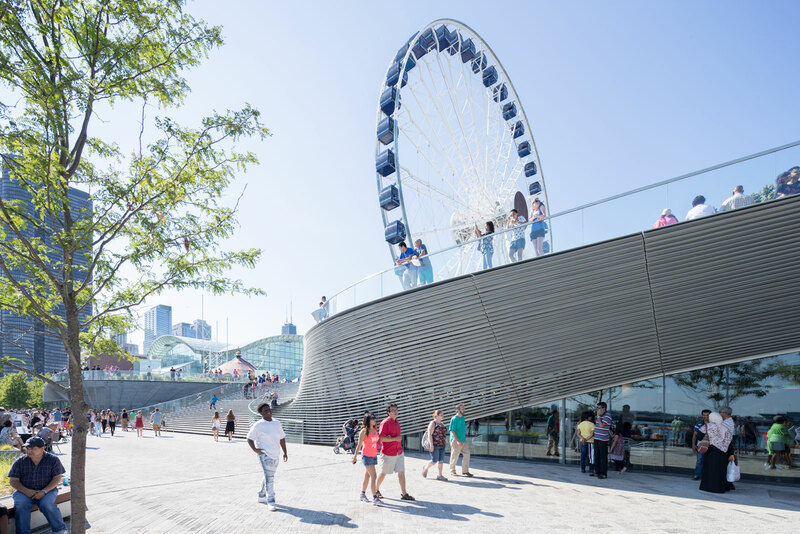 The Architect’s Newspaper picked six completed projects that exemplify what a good public space entails. U.S Department of Transportation withdraws from $24 billion Gateway Program Despite President Donald Trump’s repeated commitment to building new infrastructure, the U.S Department of Transportation (DOT) has withdrawn its cooperation from a massive $24 billion transportation project between New York and New Jersey Here’s the $3 billion project that will give Tampa a skyline A nine-million-square-foot development will add Tampa’s first new office towers in almost 25 years and is set to reshape the city’s downtown. The project will take just under a decade to build. America’s biggest and best upcoming sports stadiums There’s nothing more American than sports, so for this July 4, we rounded up some of the biggest stadium projects in the works—from the world’s most expensive stadium to a celebrity-backed soccer field. Facebook and OMA team up for Menlo Park master plan Social media giant Facebook announced it had tapped international firm OMA to master plan its Willow Campus, a mixed-use neighborhood that will be located next to the company’s headquarters in Menlo Park, California. “It’s exciting to collaborate with Facebook, whose innovation in networking and social media extends to urban ambitions for connectivity in the Bay Area,” said OMA Partner Shohei Shigematsu. Hans-Ulrich Obrist on architecture, art, and Metabolism Curator Hans-Ulrich Obrist pens an essay on how architecture influences his work, starting by saying "My interest in architecture, from the perspective of my role as a curator of art, stems from the fact that architecture is the pre-eminent site for the production of reality, as it is uniquely oriented the toward the future, but precisely as a continual negotiation, or as a continually articulated struggle between the present, the past, and the future." Despite President Donald Trump’s repeated commitment to building new infrastructure, the U.S Department of Transportation (DOT) has withdrawn its cooperation from a massive $24 billion transportation project between New York and New Jersey, as reported by New York Daily News. The Gateway Program Development Corporation planned to bring a new rail bridge, Portal North, to Newark as well as a new tunnel under the Hudson River that was meant to replace the existing, crumbling tunnel that suffered extensive damage from Hurricane Sandy. The program also looked to expand Penn Station and build new bridges to better connect Newark, New Jersey, and New York City. However, the DOT notified the Gateway’s board of trustees of their withdrawal last Friday. "It is not DOT’s standard practice to serve in such a capacity on other local transportation projects," read the letter to the Gateway board of trustees, which also counts Amtrak and board members from the New York and New Jersey Port Authority as members. Plans to build the new tunnel have been in the works since the Obama administration, where a deal was struck so that New York and New Jersey officials would take on half of the costs while the federal government and Amtrak would undertake the other half. 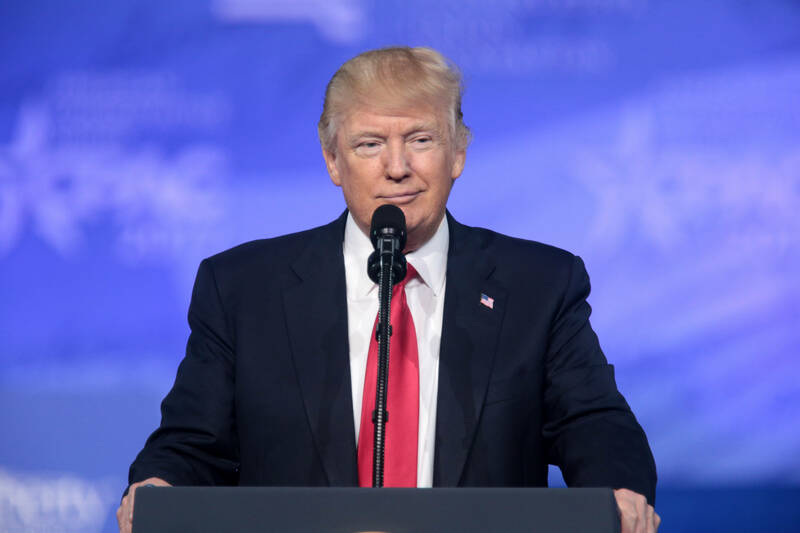 Trump had also included the Gateway program in his list of "Emergency & National Security Projects," a list of about 50 national infrastructure projects that was first published in January by the Kansas City Star. The Gateway project has been billed as one of the largest regional transit projects in the Northeast, one that would address the growing number of commuters from New Jersey as well as the region’s deteriorating infrastructure. The current two-tube tunnel linking New Jersey and Penn Station shuttle more than 200,000 riders daily. If one tube fails before new tunnels are built, capacity could be reduced by 75 percent, according to Amtrak. The DOT clarified their withdrawal, saying that “the decision underscores the department’s commitment to ensuring there is no appearance of prejudice or partiality in favor of these projects ahead of hundreds of other projects nationwide,” in a statement to the Wall Street Journal.